Lightweight, reliable, fast engaging cassette hub, and a Custom look help make the Excess 351 Pro Series wheels sets stand out from the crowd and offer you the finest complete wheel set available in BMX today. 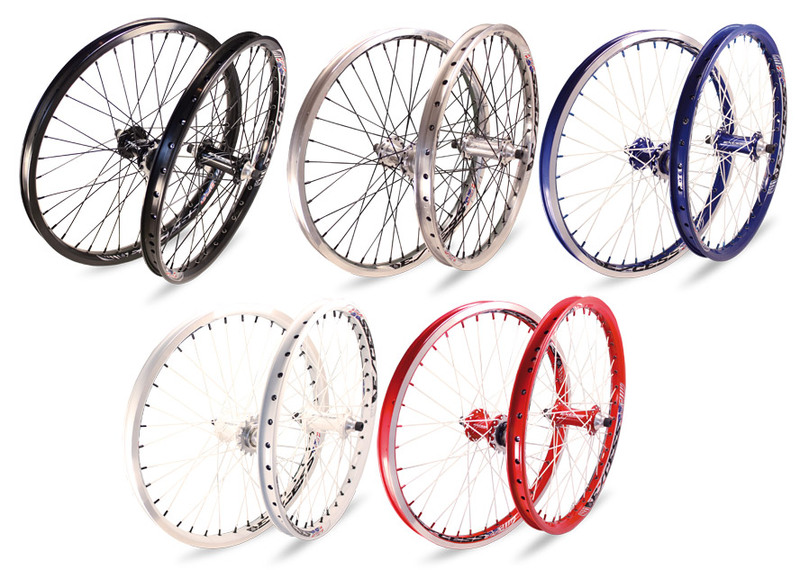 From the 1 1/8th to the 1.75 rim sizes, each wheel size offered in the Pro Series line is ready to take you to the top of the podium with a custom wheel set look without the custom wheel set price! 20 x 1.75″ – 36 stainless steel spokes – Wheel Weights: Front 795gr – Rear 960gr. 20 x 1.5″ – 32 stainless steel spokes – Wheel Weights: Front 725gr – Rear 880gr. 20 x 1-3/8″ – 28 stainless steel spokes – Wheel Weights: Front 650gr – Rear 840gr. 20 x 1-1/8″ – 24 stainless steel spokes – Wheel Weights: Front 595gr – Rear 780gr. 24 x 1.75″ – 36 stainless steel spokes – Wheel Weights: Front 970gr – Rear 1120gr.